Decide on the right plan for your needs and save 10% to 60% on your dental care bills at dentists such as Dr. Susan K Zand. Our vast dentist database has a wide range of general dentists, oral surgeons, endodontists, and more! 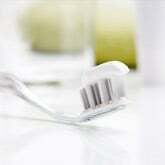 DentalPlans.com provides a hassle-free way to find an affordable dentist in Torrance, CA. Please enter your ZIP code to find a plan in your area and start getting discounts at a qualified dental care professional like Dr. Susan K Zand. Then, just go see Dr. Susan K Zand or any other participating dentist in Torrance, CA to get discounts on Orthodontics and more. All you have to do is enter your ZIP code to view the discount dental plans and dentists available in Torrance. So if you are looking to save money on braces or cosmetic dentistry treatments like teeth whitening, bonding, and veneers, you can easily search our huge dentist directory to find Torrance dentists that offer discounts on Orthodontics and more.